This sweet innocent little girl found her forever home where she will be loved and cherished. Junee was a breeder just 4 short months ago where she only knew the inside of a crate bearing puppies for someone’s greed. We are grateful she and two others were released to another rescue who contacted us. She and her sisters were all afraid of everything new, they don’t know life as many other dogs do. 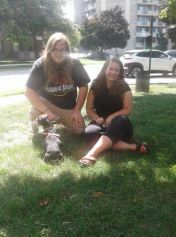 Thanks to her foster family for helping her learn she can walk on the grass and not freeze and hit the ground. Junee loves her crate and loves hoarding as many toys as she can fit in it. Her door is always open and as time goes on, she will learn that she has a whole big world in front of her where she no longer has to be afraid. We are grateful for the adopters who understand the importance of time and patience. Thanks to everyone involved in helping Junee get her second chance at life! This tiny little duo were found abandoned in a bush area. A rescue friend saw them on her way to work and was on a mission to save these little guys. 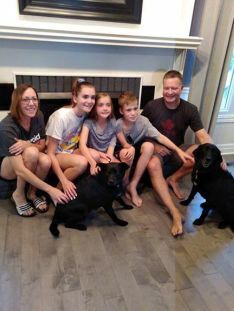 Once captured she asked if we could help them gain confidence and trust and help them find a great home with a family who understood their needs. 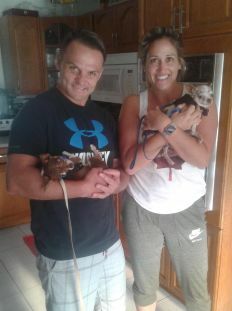 We are grateful for the adopters who never waivered when they saw these two in protection mode, they understand these little guys had a rough start to their young lives and need some time. They are prepared to do whatever it takes to help them have long happy lives! Thanks to everyone who helped Darryl and Merle get their second chance! This handsome guy came from a situation where his mom and dad were dropped off on a rural road. A kind family cared for them but they had to live outside. Puppies came along a short time later and Lacon is one of the puppies we brought into our rescue. He was very timid and scared of living in a home, new sounds and situations. 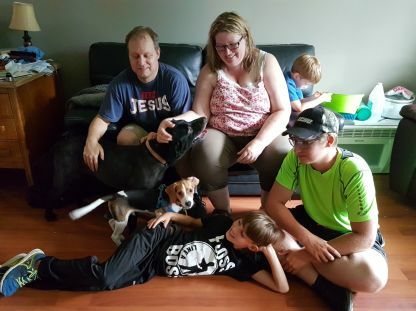 He has come such a long way with his foster family who helped prepare him for his forever family. He is excited to have a dog buddy and be with kids again. We wish him the best life possible! Thanks to everyone who helped Lacon get his second chance! Naz came to our foster program a few weeks ago. Her family moved and she was not able to go with them. Another kind individual took her to try to help her find a good home and reached out to us for help. We welcome Naz and made her the promise to find her a wonderful family who would love her forever. Naz’s dream came true! She will be the princess in her new home and have visitors often to shower her with love and affection. Thanks to everyone who made this second chance a reality for Naz! Dexter came to our foster program a few weeks ago when he needed to find a new home. He was such a tiny little puppy who is now growing into his teenage years and so full of life! He met his family and it was a huge love connection! Him and his new big sister because instant BFF’s and played the majority of the time during his meet ‘n greet. They ran and ran and wrestled around, it was NOT easy to get pictures of this happy duo! Dexter has one little boy who is in love with him and has big plans for the two of them to be best friends for a very long time. 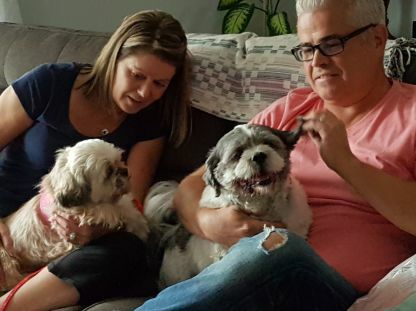 Thanks to everyone who helped Dexter get his second chance! Little Miss Scholtzy came to our foster program a few weeks ago. This little lady made herself comfortable in her new home and is looking forward to many walks every day! She melts your heart when you meet her, she is one sweet little personality. 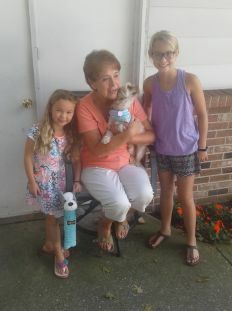 Thanks to everyone who helped Scholtzy get her Happy Ending! This very sweet senior girl named Winnie found herself in a shelter with no one looking for her. Thanks to some rescue friends, this wonderful soul was pulled to safety and she made her way to our foster program. 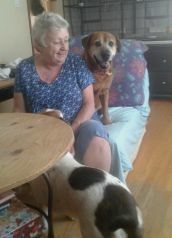 We are proud to announce Miss Winnie found her forever home where she will be adored and loved for the rest of her days! Thanks to everyone who helped Winnie get her second chance.